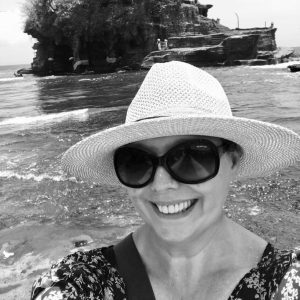 I’m just back from a writers’ retreat held on the beautiful island of Bali, Indonesia. 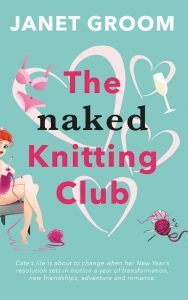 Back to reality, back to the first sprinkling of snow, and to the launch of my debut novel (The Naked Knitting Club).It was a magical time spent in commune with a group of incredible and inspiring women, hosted by Sean Patrick founder of That Guy’s House Publishing. It was a week of connection, communication, laughter, tears, hugs, singing, dancing and some writing. I, for one, left at the end of it feeling a different person in many ways; along with the joy of connecting with my fellow authors. I know for sure I have made some lifelong friendships. OK, I will own up and admit that I was apprehensive about spending a week away from my husband in such a far-flung location, particularly as there had been several earthquakes and tsunamis in the area. I was also worried about spending time with people I did not know. And, if I’m honest, I was anxious that I would not fit in (Oh, there’s that feeling again of being a ‘fraud’ as a writer/author showing up again – be gone, I say!). As it turned out, I needn’t have worried. When I arrived, I was welcomed with open arms. Over the course of the week I enjoyed spending one-on-one time getting to know and connect with each of ‘my soul sisters’ in a deeper way. 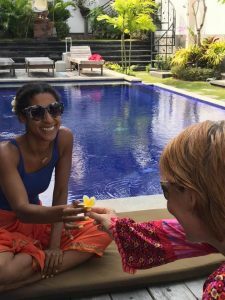 I should not have been surprised, that as a group of coaches and healers, we were all very supportive and nurturing to each other’s needs. The only thing I did find difficult at times was the lack of ‘time out’ space, as there was so much going on. As a part-time introvert and empath, I can get easily overwhelmed by so much time with people – my energydrains, then I seek quiet time on my own. I know that I was not the only one to feel this way. On a plus note, time with other supportive and caring women helped my soul to soar, and my heart to sing. 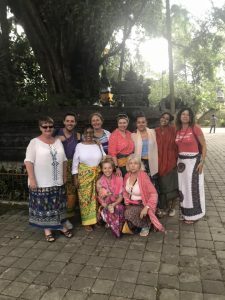 I realise the importance of spending time with other like-minded women and why there is magic when a group of heart-centred goddesses come together – reminding me of the book “Rise Sister Rise” by Rebecca Campbell, in which she highlights the power of the feminine when a group of women convene together, and I have to say I felt it; I was part of it. Over the week, we enjoyed a series of workshops, led by many of the talented attendees, covering life purpose mandalas, forgiveness work, overcoming fear and writing. I was thrilled to deliver a creative writing workshop, which took me back to my days as a trainer and I have to say I loved it (Oh, yes, I was buzzed. Dear Universe – just putting it out there, I would be open to doing more workshops like this one please!). We also did some dance and movement, meditation and a good old sing-along, and even though I’m not gifted with the voice of an angel, it was a time of beautiful impromptu fellowship. 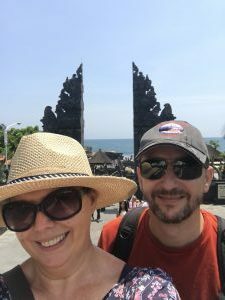 Now, before joining the retreat, I actually enjoyed a ten-day break with my husband, where we explored the area around Ubud – the jungle, the sacred monkey forest, the coffee plantation (where we sampled the famous Luwak coffee, or as my husband called it ‘poo’ coffee). Much to my delight we enthusiastically did the Bali Swing a hundred feet over the jungle, a once-in-a-lifetime experience. We also tramped around three different temples in the heat and humidity. As part of the retreat many of us also did a day sightseeing trip, and I pretty much covered the same things again. 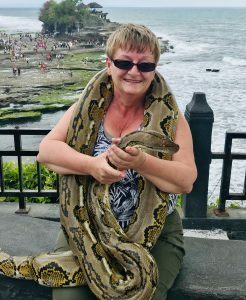 However, it was fun to share in other people’s excitement of daring to do the Bali Swing and I was honoured to go with one lady (you know who you are), who had a desire to have her photo taken holding a rather large snake – she wanted to check it off her ‘bucket list’. Witnessing her smile sitting cradling the massive wreathing reptile was so worth it (OK, I was brave enough to sit next to her, but really didn’t feel the desire myself to hold the snake). Sometimes you really need to make a leap of faith to grow and up-level, and I certainly felt this was the case for me. As well as new-found friendships, my soul has expanded, along with my desire to write more and a wish to step into a teaching role has strongly been ignited. My soul was reminded of what makes it shine bright, and it reaffirms my purpose to teach and guide others to a happier life. At the same time, I was encouraged to find ‘grounding’ in my daily life – allowing me to feel safe and secure, so that I may step up into the new big exciting role coming my way. I was not alone in feeling this. It was as if the Universe had gathered us altogether to create an energy surge to prepare us for bigger and better things. As the weather grows colder and the leaves start to fall – Halloween is again upon us, it makes me think of a ‘coven of witches.’ I now know that when beautiful soul women come together and commune, MAGIC, without a doubt, is the outcome. 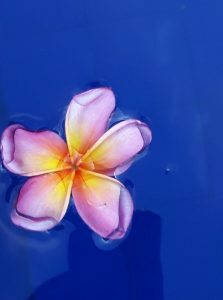 We are each strong on our own, but together that power is amplified many times over, causing healing and loving vibrations to ripple out across the world. The power of women, the creative feminine, is the energy that many believe will heal our world. Women need to connect, and together we will create the healing magic.